*I received a free stroller rental from Kingdom Stroller for the duration of our vacation in exchange for my honest review. All opinions expressed are my own. Taking a family vacation with kids is no easy task. It takes planning and lot’s of preparation to make sure everything goes as smoothly as possible. 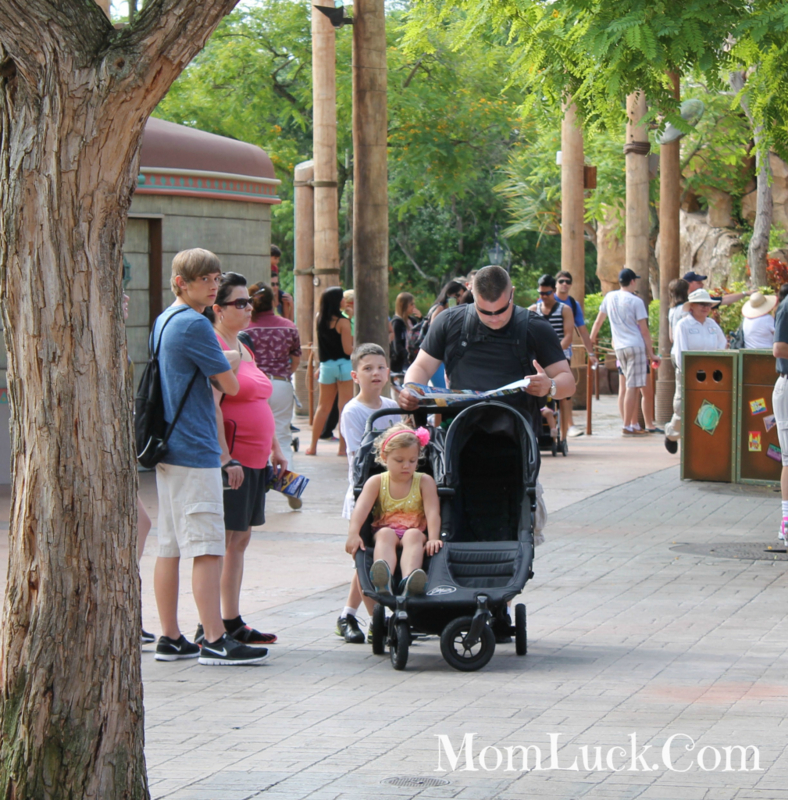 When you have young kids and your vacation revolves around long days in theme parks such as Disney World and Universal it is a necessity that you have a stroller even if your children don’t normally sit in one. Walking in a hot, crowded park for 10 hours can be exhausting and can quickly shift from a dream vacation to your worst nightmare if your child has a melt-down. 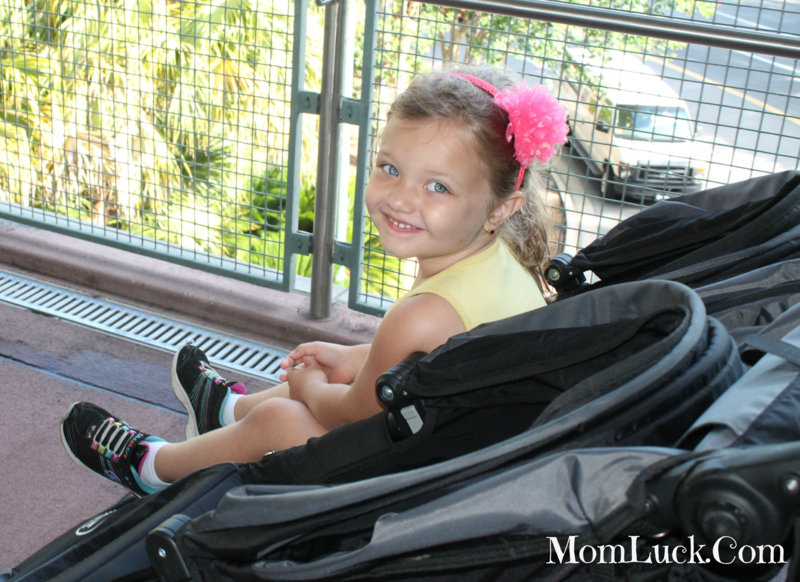 A couple of months before we headed to Orlando I contacted Kingdom Stroller and set up a reservation for a stroller to be used for the duration of our trip. Kingdom Strollers overs rentals for both single and double strollers for up to 50% less than what you would pay at major theme parks. What I love most about renting from Kingdom Stroller is that it’s hassle free. They deliver the stroller to you and pick it up when your done. Plus you take it with you and never have to worry about the expense of renting a stroller every park you go too. There are a few different varieties of strollers to choose from with Kingdom Strollers but we went with the GT Double which provided plenty of room for both of my kids. My daughter pretty much lived in the stroller and only got out to get into the lines, go to the bathroom or meet her favorite characters. This was just fine by me and I actually preferred her riding in the stroller that way I could see her at all times and there was less of a risk she could get lost in the crowds. The strollers also came with convenient cup holders, lot’s of room underneath, and a cover for when it starts to rain. We used all three of these several times during our trip. In addition to high quality strollers you can also rent cribs from Kingdom Strollers at a very reasonable rate. There are lot’s of places to rent strollers in the Orlando but if you want a great experience with convenience and affordability I recommend Kingdom Strollers. I didn’t even know they offered such things! We always brought along our own stroller when we traveled, and gate checked it on the plane. 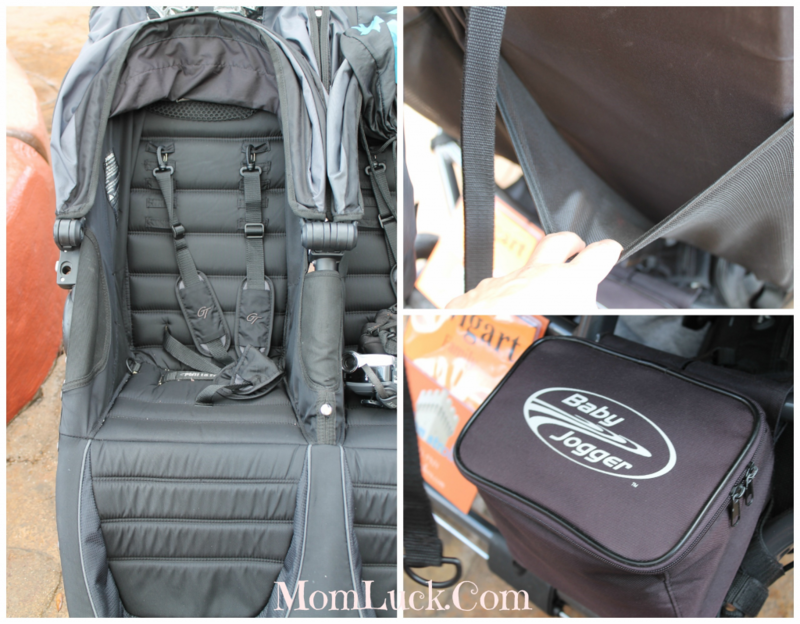 Rental strollers….genius! I wish they had this when my daughter was a baby. What a great looking stroller, it looks comfy and sturdy. This is such a great idea, especially for families that are flying and don’t want to take a double stroller. I have never heard of this brand, but it sounds like a lifesaver! Wow – very convenient! Love Baby Jogger too!